Attorney General Lisa Madigan has joined a bipartisan coalition of 18 states, the District of Columbia, nine cities, four counties and the U.S. Conference of Mayors to submit a formal comment objecting to the Census Bureau’s decision to add an unnecessary citizenship question to the 2020 Census. The coalition explained that demanding citizenship information on the Census is likely to depress response rates in cities and states with large immigrant populations, including Illinois, directly threatening the fair representation of those states in Congress and the Electoral College, as well as billions of dollars in critical federal funds. Since the primary duty of the Census under the Constitution is to count all persons in the U.S. without regard to citizenship, the coalition opines that the Census Bureau does not need citizenship information to properly perform its function. In addition, the coalition said that the Bureau has not performed any testing of the citizenship demand to ensure the quality, utility and clarity of the information to be collected. More recently, in 2009, all eight former Directors of the Census Bureau dating back to 1979 – who served under both Democratic and Republican presidents – confirmed in testimony to Congress that the addition of a citizenship question would depress participation and lead to a significant undercount, undermining the purpose of the Census itself. In April, Madigan, along with 17 other Attorneys General, six cities and the bipartisan U.S. Conference of Mayors, filed a lawsuit to block the federal administration from demanding citizenship information in the 2020 decennial Census, arguing the citizenship demand would ultimately depress turnout in states with large immigrant populations like Illinois. 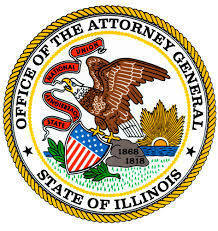 Joining Madigan in filing the comment are the Attorneys General of Colorado, Connecticut, Delaware, the District of Columbia, Iowa, Maryland, Massachusetts, Minnesota, New Jersey, New Mexico, New York, North Carolina, Oregon, Pennsylvania, Rhode Island, Virginia, Vermont and Washington; the cities of Central Falls, RI (the site of the 2018 end-to-end test of the Census), Chicago, Columbus, New York, Pittsburgh, Philadelphia, Phoenix, Providence, San Francisco, and Seattle; Cameron County, TX; El Paso County, TX; Hidalgo County, TX; and Monterey County, CA and the U.S. Conference of Mayors.